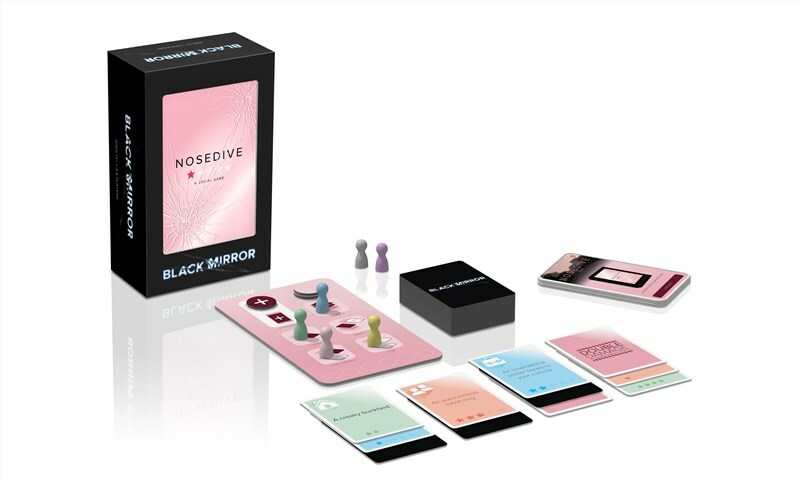 Global content producers Endemol Shine North America and gaming publisher and distributor Asmodee North America announced the launch of NOSEDIVE, the first-ever social board game inspired by Emmy Award-Winning Netflix series Black Mirror. Modeled after the iconic episode of the same name starring Bryce Dallas Howard, NOSEDIVE players are challenged to create a “perfect” life by collecting Lifestyle Cards, while avoiding any “dings” to their Social Score. NOSEDIVE features light social and strategic gameplay that is engaging, interactive, and accessible for new players. NOSEDIVE is published by Asmodee Group and distributed by Asmodee North America and launches at Target.com and Target stores nationwide on November 25th, and retails for $19.99.